Our Cream Tea’s for 2015 is around the corner, we have three Sundays in June planned. On the 7th June, we have our normal Cream Tea, where you can come and grab a home made scone, and a cup of tea or coffee, have a chat with friends and family, so bring them along too! The more the merrier!! 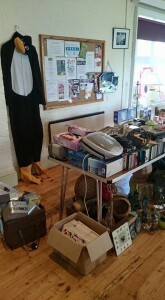 On the following Sunday (14th June) why not bring something with you that you would like to know more about? 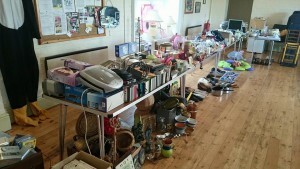 We are holding an Antique Valuation event alongside Cream Tea. So, if its a piece of Moorcroft pottery, or Walker and Hall or anything else, please do bring it with you, and our guest valuer can tell you as much as they can about the item. Then finally, to draw our 2015 Cream Tea’s to an end, we have some live music by Music Students from Tresham College. Please come and support them. We hope to see you at the Village Hall, pop in and have a chat! 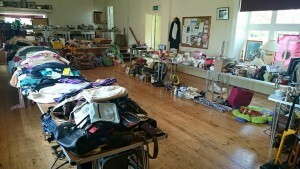 Our Jumble Sale has been, and can we just say thank you to everyone who came along and supported it. We were so pleased with the turn out. 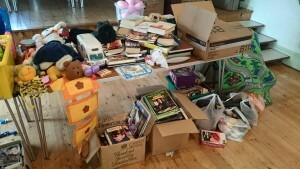 The event raised around £447.28!! 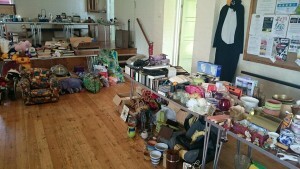 Also a thank you to all those who donated items for the sale, the event couldn’t have happened without your support. Finally, to the helpers on the day, thank you. 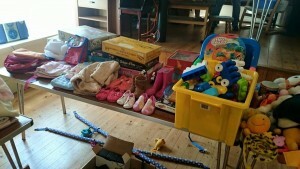 All the photographs below were taken before the mad rush! This is a reminder that we are closed to regular bookings on Thursday 7th May 2015, as we are the Cranford Polling Station for the 2015 General Elections. Everything is as normal on the 8th May. *Weekend packages are bookings from 12:00 Friday – 22:00 Sunday. 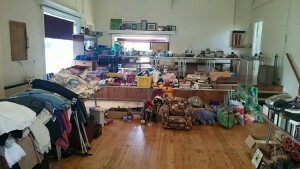 Do you have some spare time to help the Village Hall? We are looking for enthusiastic people willing to join the Village Hall Committee, no experience necessary but a willingness to learn would be required. If you are interested, please contact the Chairperson or Bookings Manager (details here). We look forward to hearing from you. 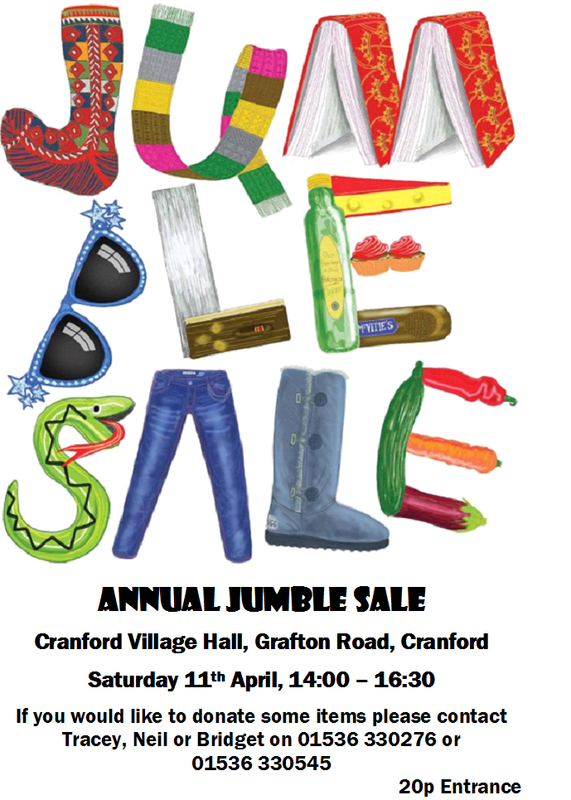 Come along to Cranford Village Hall on Friday 21st November for a fun packed evening for all the family. 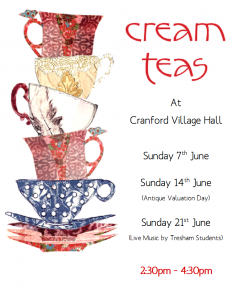 Its that time of year to treat yourself, sit back and enjoy a Cream Tea or two in the beautiful Cranford Village Hall! Come along, bring your family and friends and enjoy a locally made Cream Tea served by our fantastic team of volunteers! 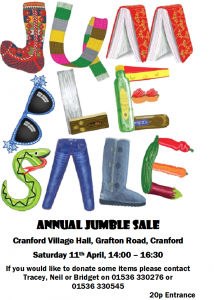 Cranford Village Hall Committee is holding a Jumble Sale in aid of the Senior Citizens Christmas Party on Saturday 26th April 2014. 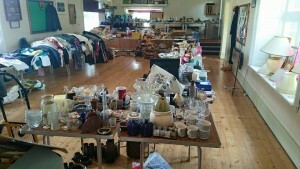 The Jumble Sale will start at 2pm and close at 4pm. Entrance is 20p and refreshments will be made available. We have a great event being held in the Village Hall on Saturday 22nd March. Come along and buy your favourite Hand-craft and Vintage items at this popular fair. All stalls are now SOLD OUT so it will be a great event. Refreshments will be available and the doors open at 11am and the fair will close at 4pm.